Welcome to our luxurious oceanfront condo. We are renting this newly renovated condo in a gated community. 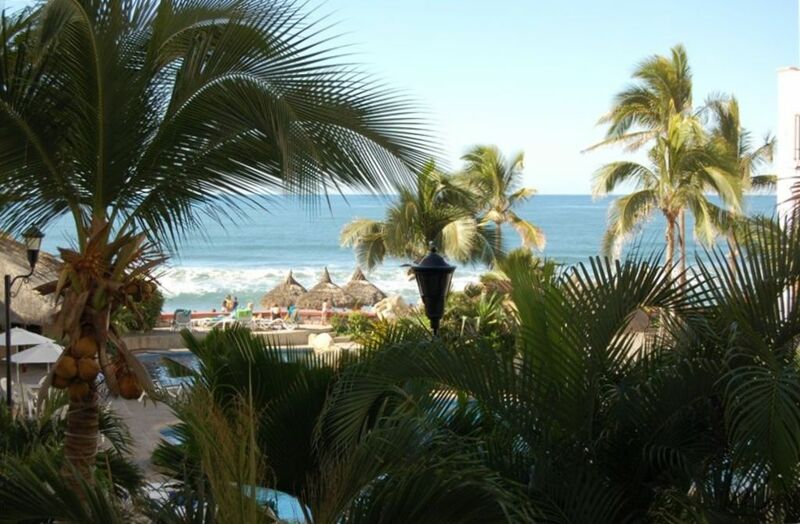 This condominium is located right on the beach on the Northern-Shore, New Mazatlan, area where you can enjoy the beautiful ocean views and your own private beach. Mazatlan is the undiscovered jewel of the Mexican Riviera, with perfect weather nearly year round. Whether your dream vacation is relaxing on a private beach and watching the sunsets, or spending all day fishing, playing golf or shopping at the nearby Golden Zone, you are surely to find it all in Mazatlan. This spacious 1270 square foot two bedroom unit sleeps up to six and is decorated and furnished with high quality items throughout. There is a New 42' Plasma TV and DVD player in the family room along with a DVD library and games for all ages. There is also surround sound for the movies as well as an IPOD connection for your personal music. Simply email us if you would like to see more pictures or have further questions. Please check the availability on the electronic calendar by scrolling to the bottom of the page. Again, most of the information above covers this. However, we researched Mazatlan compared to Cabo and other resort areas in Mexico and found Mazatlan to be half, or less, of the costs to both own and vacation than the other areas. Being able to take a quick walk on the beach is incredibly awesome. The weather is very consistent, sunshine and 78 degrees. We are located in a quiet area with over 3 miles of walkable beach, but the condo is only a 10 minute taxi/bus ride into the Golden Zone. There are also restaraunts and shopping close to our condo as well. Second time staying here. A wonderful experience again! Thank you for the kind words. I am glad you enjoyed your stay at our condo again. I was glad to also hear that you really enjoyed the updated features after the recent remodel of the unit. Hope to see you in the future. Costa Bonita is a charming, quiet and relaxing place to rejuvenate. The property is very well maintained, the staff is helpful, friendly & kind. The beach is perfect and the food fantastic. Very comfortable condo with all the amenities. The grounds and facilities are wonderful also as are the people who work there. There's a great little restaurant with excellent prices so all options are available from cooking in, wandering to the restaurant for a delicious meal, to hitting the restaurants in town. The condo was all that we expected and needed. Very nice! We had a marvelous stay at Randy’s! Our daughter and son-in-law accompanied us this year and the condo was perfect for the four of us. A bonus was being able to dine at the onsite restaurant La Palapa. Great food at good prices. So glad to hear you had a great time and the condo met all your needs. Good reminder about just how good the food is at the Palapa and so reasonably priced. Hope to have you back next year after the remodel is done. Very good accommodations. Great food and reasonable prices at the Palapa restaurant. We will be back! Thanks, Randy! So glad you enjoyed your stay at our condo. We agree, the food is great and the people are awesome. I feel we have the best renters and they treat the condo like it their home too. We love that. These rates also include housekeeping at the end of your stay.